interprets folk,alternative and adult contemporary, blues, funk, jazz, R&B, reggae and popular music spanning the styles of the 1930’s to now and beyond. This site is basic, like the music, and we'll be revising this page from time to time with current info as well as sound and video files. Her eclectic repertoire includes original tunes, some of which have been published, recorded and distributed in Europe. 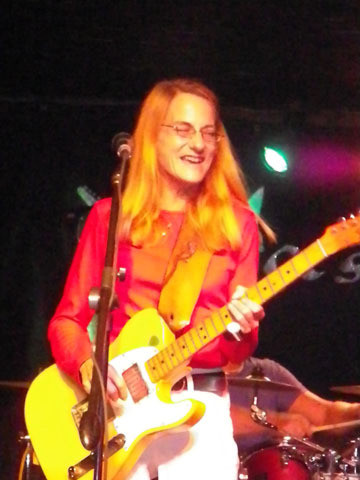 Syl Vee sings, plays lead, rhythm and slide on acoustic and electric guitar, and also plays the ukulele. With the duo Buck & Sylvie, she opened shows for John Mayall, Manfred Mann’s Earth Band and the Average White Band in Germany in 1976, where she also made radio and TV appearances. Malcolm and Sylvie’s ‘Boxcars R&B Band’ opened the Minglewood Band concert in Ft. McMurray, Alberta, Canada in 1980. In Los Angeles in 1983, Boxcars had Don (Sugarcane Harris) & Dewey Terry join them for an evening’s show at The Central on Sunset Blvd. In 1985 they worked in the Las Vegas area. 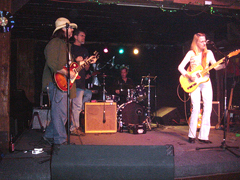 Malcolm and Sylvie were active in Halifax, Nova Scotia in 1987, where they played on local cable TV and a benefit festival as The Throw Money Band. After moving to Bradenton, FL in 1989, Syl Vee and Malcolm performed in nightclubs and at special events in bands under various names. Syl Vee has been entertaining locally as a singer / songwriter as well as a guest guitarist with blues, r&b and reggae acts. was born in Detroit, Michigan, and has played professionally since she was nineteen. Piano was her first instrument in childhood; later she briefly studied classical guitar under Michael Strutt, a former student of Julian Bream. 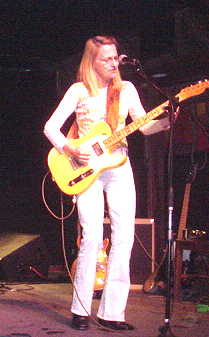 Syl Vee wrote her first published and recorded song at the age of fifteen. In 1974 she met British entertainer Malcolm Buck in Frankfurt, Germany, where they formed a popular duo that wrote and recorded for Jupiter Records in Munich. 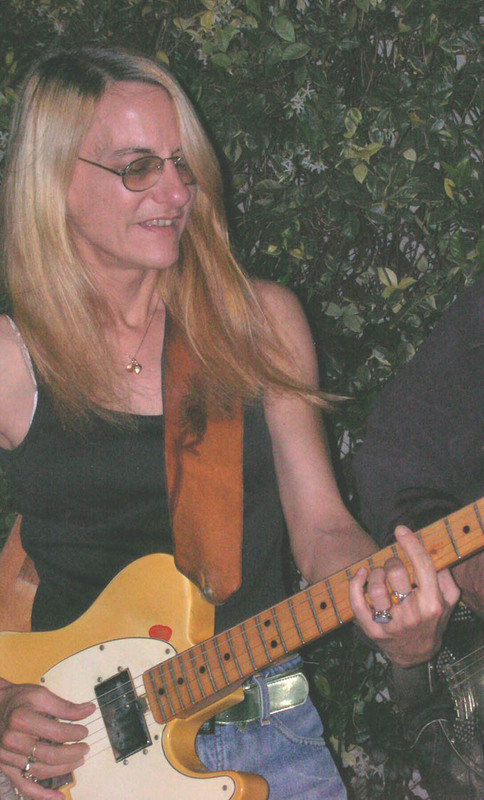 Syl Vee sings and plays lead, rhythm and slide on acoustic and electric guitar, and also plays the ukulele. Buck & Sylvie, LP – Jupiter Records, Munich 1975. Distr: Ariola; SiegelMusikverlage / editions Meridian, publ. original (Buck / Reichmann) material. Buck & Sylvie 2nd, LP – Jupiter Records, Munich 1976. Distr: Ariola; SiegelMusikverlage / editions Meridian, publ. original (Buck / Reichmann) material. In the Morning / Three Days in the Jailhouse, 45 RPM, Jupiter Records, Munich 1975 #16355 AT. Siegel Musikverlage / Editions Meridian publ. original (Buck / Reichmann) material. Brotherhood of Man; Your Smile 2-song CD by the Suponics – OneCo Records, 2002. Adult Contemporary originals by Syl Vee.